The interesting culture of many hill tribe groups and the breathtaking mountain scenery of the north are all on this adventure. 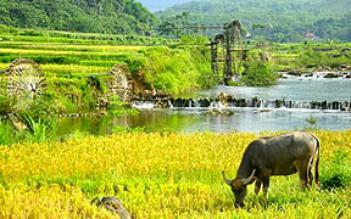 But it is a great chance to explore the most mountainous region of Vietnam. With Hidden Charm of Northern Mountains 12 days, you join many interesting activities : visiting colorful Sapa market, exploring the old battle field, learning about culture and daily life of minorities…. In the end of the tour you will be relaxed in a peaceful sea of Halong bay. Upon arrival, pickup and transfer to Hanoi, check hotel and free time. O/N in Ha Noi. Today we enjoy a full day city tour starting with the Ho Chi Minh Complex, containing the mausoleum of the nation’s founder Ho Chi Minh (closes on Monday and Friday morning. And closes during October), the Presidential Palace and the Ho Chi Minh’s house on stilts. 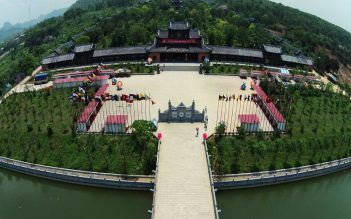 This complex also comprises the One Pillar Pagoda, whose origins date back to the foundation of city. We follow this with a trip to the Temple of Literature well known as Vietnam’s first university and the History Museum, which displays an excellent collection of artifacts illustrating the Vietnamese history. Our next stop is the impressive Ethnologic Museum, dedicated to Vietnam’s 54 hill tribe groups, some of which we will see on our forthcoming days. We also visit the peaceful lake of Hoan Kiem with its sacred temple and the vibrant Dong Xuan Market before attending a performance of Hanoi's famous water puppets. O/N in Hanoi. 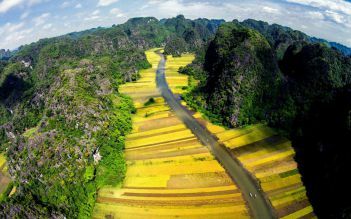 The journey northwards begins as we depart Hanoi and pass through the undulating terrains of tea plantations and the many timeless villages linked to the road which is the main artery of trade between the northwestern region and the capital city. This is our first glimpse of rural Vietnam and sets the tone for the days ahead. Depending on road and traffic conditions our drive will deliver us in Son La by mid or late afternoon. After checking into hotel we take a walk around this mountain town. There is a little traffic on roads and many Black Thai in traditional costume scurry in all directions. O/N in Son La. The provincial museum and the nearby old prison are some of this hill town's major sights. We have a chance to visit these before we leave for our next destination. The winding roads cross over the Pha Din Pass before reaching Dien Bien Phu, the site of the decisive battle in Vietnam’s struggle for independence in 1954. After checking into our central located hotel we enjoy a walk around to see this fast growing town. Our main stop is Dien Bien Phu’s Museum which details the event in place. We also pay a visit to the old battle field where the lush vegetation grows behind many war relics including old French tanks and artillery pieces. O/N in Dien Bien Phu . Heading out of the town, we spend a full day travelling into Vietnam’s most mountainous region. The roads are difficult at times, but the spectacular landscape with a mixture of terraced fields and hill villages makes the hardship all worthwhile. On the way, we have some opportunities to encounter the Red H'mong, Kho Mu, Mang, Dao people who still retain their age old cultural traditions and are recognisably distinct from each other by their dress. We arrive in Tam Duong by late afternoon and have time strolling around to catch our first glimpse; a small town surrounded by breathtaking mountains and tea plantations. O/N in Tam Duong. The scenery of the north is unequalled although the conditions are very simple. After breakfast we set off on a half day drive following the mountain roads to Sa Pa, our final destination. At an elevation of 1,500 meters, Sapa was founded in the early years of the last century as a hill resort for French administrators when the heat on the plain became unbearable. We arrive in Sapa by mid afternoon and can soak up the fresh climate as much as we want by spending our time wandering this famous hill town. The ethnic people are frequently seen on the main street of Sapa and small vendors along the street sell local textiles and handicraft. O/N in Sa Pa. The range of Phan Si Pan boasts Vietnam’s highest mountain and lends an alpine feel to the area surrounding this hill station. Today we have enough time to visit the bustling Sa Pa Market where the Red Dao, Black Hmong, Tay and Xa Pho ethnic minorities converge from the nearby mountainsides and valleys to trade their goods and buy provisions. We then get well off the beaten track as we embark on a walk to explore this beautiful mountain region. Along the way we traverse several rustic villages and see many mountaineers doing their daily works such as logging, herding buffalo and tilling the field. The blend of verdant mountain backdrop and colourful population makes for an unimaginable view. O/N in Sa Pa.
After breakfast we continue venturing into northern Vietnam, travelling through the Chinese border town of Lao Cai to the colourful Sunday Market at Muong Khuong. This market also attracts a wide variety of ethnic minority groups including the Variegated Hmong, Dao, Phu La, La Chi, Tay who still retain their age old cultural traditions and are recognisably distinct from each other by their dress. The experience of this congregation is unique. Upon leaving Muong Khuong, we drive to Bac Ha. As option , we can embark a walk this afternoon, visiting the Hmong King’s former residence and Ban Pho where the villagers make the potent local maize wine . O/N in Bac Ha. The return journey begins as we depart Bac Ha town and pass through the verdant and rugged mountain scenery to Hanoi. 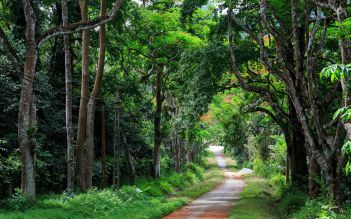 These back roads are a great way to explore the real Vietnam. We see very few other travellers, mostly rural dwellers who are just as interested in finding out about our lives as we are of theirs. The drive is very long , but we can make many stops along the way to stretch our legs and take some wonderful photographs. O/N in Ha Noi. At noon: Arrive at Halong bay, tendering to the cruise, welcome on board and check in your cabin. Enjoy lunch with Vietnamese and International served while the cruising through the bay. Afternoon visit Luon cave by bamboo boat or kayaking, stop at beautiful Soi Sim beach for swimming (If the weather permits) or you can reach on the top of Soi Sim beach to have a panorama view of Halong Bay. Back to the cruise, you will join a cooking class on sundeck to learn how to make Vietnamese spring rolls before savoring the dinner at the restaurant. After dinner is free time for chatting, watching movies, fishing for squids or relaxing on the sundeck. Stay the night at private cabin on board. Enjoy Tai Chi instruction on the sundeck in the early morning before having breakfast. 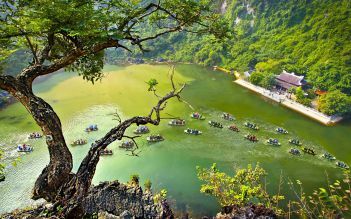 After that, visit Sung Sot Cave – the most beautiful cave on the bay then return to the cruise, check-out and free time before enjoy the brunch while cruising back through Halong Bay to the pier. Tender will take you back to the mainland, bus trip back to Hanoi and drop off at your hotel. O/N in Hanoi. There is a free time for you to relax or further explore Hanoi. The trip ends after your transfer to Noi Bai Airport for departure. The road from Hanoi to Dien Bien Phu is very hard, hilly so that fly there is a good choice. It takes 12 hours to get to Dien Bien Phu by bus and hour by airplane. Most sleeping bed buses to Dien Bien Phu run after 5pm to 8.30pm. There are frew flights from Hanoi to Dien Bien Phu every day at a quite expensive price in comparison with other domestic fly lines. The time of departure is on time and no delay. Service on the flight was good anf polite. The seat is a little small and quite hard. It would be uncomfortable for big people. For me is ok because I’m small. The other thing was the sound during the flight . It was loud and make u feel headache. You should prepare some ear covers when you fly to by this kind of plane. I really enjoyed this trip. It was great to get out of the big cities and into the rural areas among the terraces. There were some great walks and it had a really local feel with few other tourists. Food is a bit limited though so be warned - especially if you are on a special diet. This is a value for money trip. From Hanoi you travel with your group unescorted on the train, where you are met by a bus driver then transported to Sapa an amazingly beautiful town in the mountains. Plenty of time to do a bit of shopping and eating delicious food before setting out on the hike. I found my enjoyment was hampered by village people hiking all of the trip with you just to try and sell you some tacky items. They got in the way when you were trying to take pictures or climb up or down areas of track. The walking is of moderate intensity but can be hardwork for the average middle aged person in the humidity of the rainy season Scenery is spectacular and the over night train trips great. Getting back to Hanoi and getting a taxi proved problematic and a lot of time was spent trying to get a legitimate driver to take me where I wanted to go. Overall though the trip was great value for money.